Being not only my favourite book of all time, but also easily one of my favourite ever films, the story of Matilda means more to me than I can even explain. Growing up, I found my comfort and happiness in books, and to this day, I am never happier than when I am reading a good book. I was totally inspired by Matilda's strength when I was a young girl, and continue to be. So, I'd be lying if I said I wasn't slightly terrified to see what the musical take on the classic story would be like. Occasionally, when new songs are thrown into a story that everyone knows, it simply doesn't work. 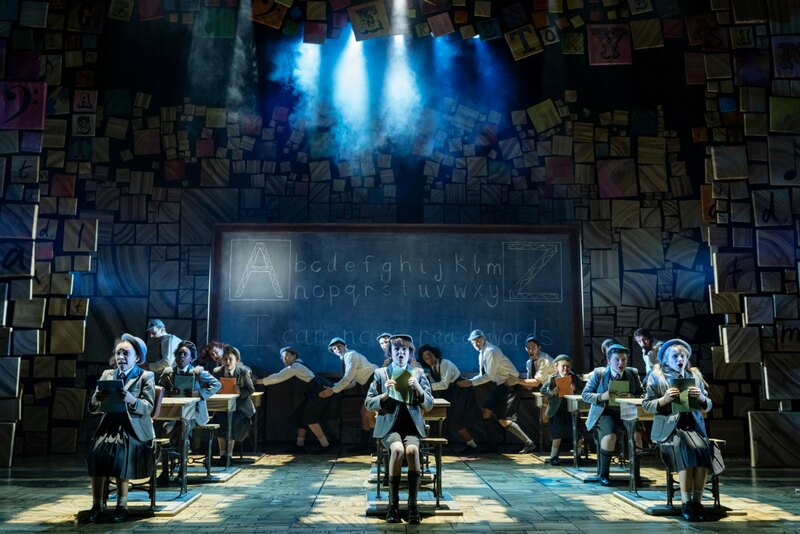 Matilda the Musical, on stage at the Birmingham Hippodrome for the whole summer, is an exception to the rule. It is a total triumph. The original story created by arguably the greatest children's writer of all time, Roald Dahl, the musical adaptation thankfully doesn't stray too far away from the classic novel, and of course, much loved film. Written for the stage by Dennis Kelly and hilarious yet emotional music and lyrics from Tim Minchin, the duo are a winning combination, and it's no wonder why the production has become such a hit. In fact, the show was first brought to life in the Midlands at RSC in Stratford-upon-Avon in 2010 before heading to London's West End the following year, so it's no surprise that thousands of people are set to enjoy it in Birmingham this summer. After all, it has won multiple awards and became a modern day classic. The production follows the story of an extraordinary little girl, Matilda, who is smart beyond her years. She lives at home with a family who hate books and wish she would just be 'normal' and watch TV. Her favourite place is the library, where she tells intense and mature stories, and of course, school, where she meets the wonderful Miss Honey. However, just like her home life, school has it's challenges as well thanks to the truly terrifying ex-Olympian headmistress Miss Trunchbull. 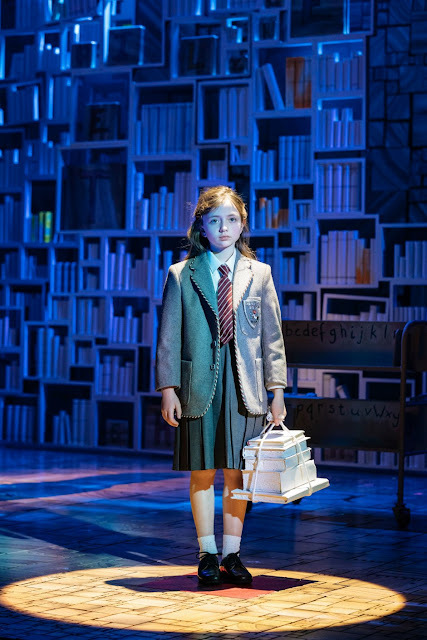 However, thanks to her energetic school friends and her own personal talents, Matilda succeeds at out-smarting Miss Trunchbull and finally getting the happy ending she deserves. With there being a whole series of classic scenes in the 90s film, I did question whether they would be able to bring the magic of those onto the stage. Thankfully, they did. From the scene where Miss Trunchbull swings Alice round by her pigtales, which was one of the highlights for me, to the iconic chocolate cake scene with Bruce Bogtrotter. As well as the magic of the scenes themselves, which are incredibly easily transitioned without any stopping and starting, the set of the production is truly mesmerising. 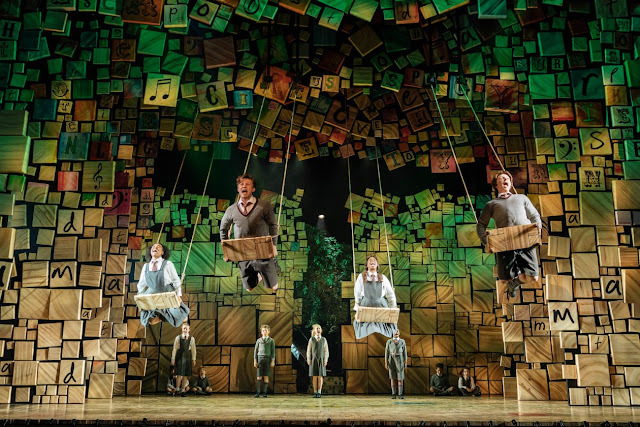 Though fairly simple, it is full to the brim of imagination, with shelves of books and building blocks, which transform the audience from Matilda's tough home, to the library, to school and so many others in between. The set highlight was by far the famous 'swings' scene, where the cast perform When I Grow Up whilst performing a captivating routine on swings that fly high out into the audience. It was at this bit where my bottom lip started to wobble and I realised that this production is as special as the book and film that I so desperately love. As for the characters, there is a whole host of incredible talent in this show. The title role of Matilda was taken on by the outstanding Lara Cohen, who was simply made for the role and she thoroughly deserved her standing ovation at the end of the show. Miss Honey, played by Carly Thoms, was totally believable and Matilda's dad, played by Sebastien Torkia, was both hilarious and terrifying at the same time. 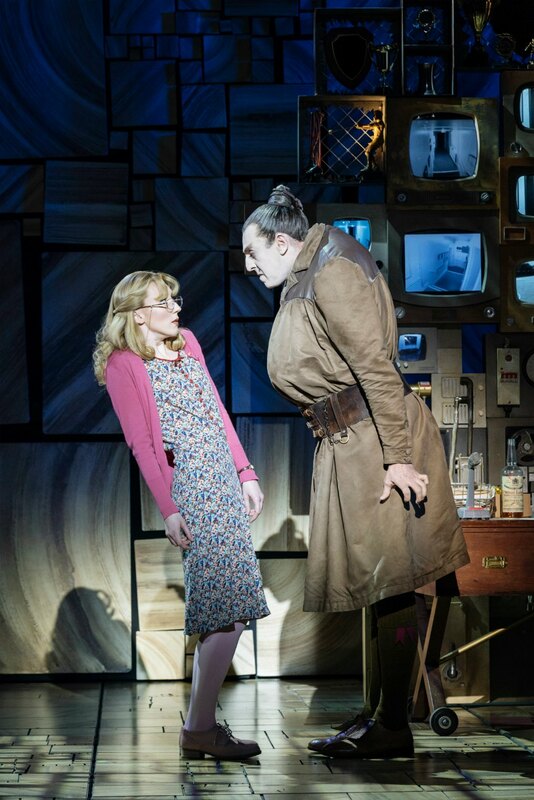 However, the star of the show is by far Miss Trunchbull, who is played by Craig Els. Although super scary, she has much more comic effect and likeability than in the book and film, but it completely works for the show, helping balance out humour and the deep meaning of the story. In fact, at times the production was actually quite scary and much more intense than I could have imagined. But, it works and shows the realness of the story itself. Being the first time I watched this show, I hadn't heard any of the songs before. I can confirm I have had them on repeat since I left the theatre though. From fun, energetic songs to deep and meaningful numbers, the songs bring a whole new element to the classic story, my favourites being Naughty and When I Grow Up. Matilda the Musical is by far one of the best shows I have seen, ever. It is so imaginative, fun and simply mesmerising. It is definitely not one that I will be forgetting anytime soon, and hope that it continues to live on for years to come. I could not be happier that the show doesn't ruin the book and film for me, just brings a whole new side to the story. I cannot recommend the show enough, it is the must see show in Birmingham this year and I can guarantee that you will love it!